Keith Boyd, a boy with cerebral palsy, is unable to talk, walk, or use his hands. Despite his struggles, Keith doesn’t let the cerebral palsy keep him from communicating and accomplishing all the things that are important to him. To communicate with others, he uses a special computer, called a Tobii, which is operated by his eye movement. Signals from his eyes tell the computer what Keith wants to say, and then the computer speaks for him to anyone in the room or online. Keith can also control the radio, television and room temperature with the Tobii. He loves the device so much that he decided to help raise money so that more kids can have one. To raise money, Keith created a business plan and opened 10 lemonade stands around the Tulsa, Oklahoma area. So far, Keith has raised $100,000, but his goal is $250,000. He plans to give the money to his former special needs school, The Little Light House, so it can buy Tobiis for children like him who are unable to talk. Inspired by Keith’s desire to help others, Chick-fil-A is donating all the lemonade. Thrive15, an online education and entertainment company, made a short movie about Keith’s story and how he faces the challenges of cerebral palsy. How Does the Tobii Help Children With Cerebral Palsy Communicate? Anyone who can use their eyes is able to communicate using the Tobii. Many paraplegics are able to use the device almost as quickly as typing with their fingers. The Tobii uses eye tracking and gaze interaction technology to determine what the user wants to do. It is operated by the activity of the user’s cornea. It works by using multiple cameras that allow the user to stare at a symbol, phrase, or word and activate it, similar to the way a mouse click would activate an item on a computer screen. The child is able to spell words, put together phrases, and convey ideas, making it easier to take part in conversations. This allows them to build relationships, take part in fun and educational activities, and participate in aspects of life that others enjoy. With the Tobii, a child can communicate with someone who is in the room, the next room, or another country. They can listen to music and audio books, agree and disagree, and participate in their own care. The Tobii gives a child access to the internet so he or she can use Facebook and Skype, play games, and use educational tools. It also enables the child to control things in the house, such as the television or air conditioner. One of the most amazing features of eye tracking technology is that it can tell if a child becomes impaired, such as in the case of a head injury or adverse reaction to drugs. The Tobii helps give a voice to children who can’t speak, and it allows children who don’t have use of their hands to be able to interact with others and create a sense of independence. How Does Tobii Technology Work? During the last ten years, eye tracking has gained recognition as being a good tool for understanding behavior. The brain automatically directs the eyes to information it is processing. Therefore, watching what a person is looking at can give information about what the brain is processing. The Tobii eye tracker uses microprojectors, optical sensors and image processors to examine a child’s eyes. Mathematical models are used for precise calculations of the eyes’ position and gaze. Dr. Laeng, formerly of Ann Arbor, Michigan, is a professor of neuropsychology whose research was used to help create the Tobii technology. Some of Laeng’s research involves pupil diameter measurement and has shown that pupil responses can give information about the intensity of a person’s mental activity, as well as changes in their mental state. Pupillary responses can also give important information about a person’s perception and what items they are giving the most attention to. Cerebral palsy is a term used to describe a group of disorders that leave children struggling with movement. Some children are unable to use their arms or legs, and some children have difficulty with speech. Cerebral palsy affects every child differently. In general, it causes problems with movement, coordination and balance. It is caused by an injury to the developing brain, which means that cerebral palsy can occur until a child is approximately three years of age. Sometimes, however, cerebral palsy is not diagnosed until a child is four or five years old, when certain developmental milestones are missed. In the last few years, there have been incredible advances in treatments and therapies for children with cerebral palsy. Kids who were previously unable to walk are taking their first steps, thanks to aggressive physical therapy in combination with procedures, such as selective dorsal rhizotomy (SDR). Technological advances, such as the Tobii, can allow children to speak and communicate using their eyes. There are many conditions that can occur during or near the time of delivery that, if not properly managed, can cause cerebral palsy. Most often, these conditions involve a lack of oxygen in the baby’s brain, a birth injury called hypoxic ischemic encephalopathy (HIE). Conditions that can deprive a baby of oxygen if not handled properly by doctors and medical personnel include placental abruption, uterine rupture, umbilical cord prolapse, nuchal cord (cord wrapped around baby’s neck), brain bleeds caused by forceps or vacuum extractor use, and failure to recognize fetal distress on the fetal heart rate monitor. When a baby is showing signs of distress, it means they are being deprived of oxygen and must be delivered as quickly as possible. Most of the time, a C-section delivery is the safest way to deliver a baby who is in distress. The birth injury lawyers at Reiter & Walsh ABC Law Centers have been helping children with cerebral palsy in Michigan and throughout the nation for over two decades. 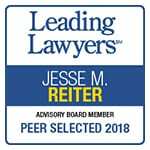 Jesse Reiter, the firm’s co-founder, has been focusing on birth injury cases his entire 28+ year career, and most of Jesse’s cases involve helping children who have cerebral palsy. 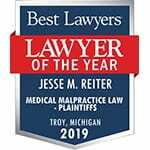 Jesse has won many awards for his advocacy of children, and he is currently recognized as being one of the best medical malpractice lawyers in America by U.S. News and World Report 2014, as well as one of the 10 Best Attorneys in Michigan by Super Lawyers magazine. U.S. News and World Report 2014 also recognizes Reiter & Walsh ABC Law Centers as one of the best law firms in the country. Cerebral palsy is a difficult area of law to pursue due to the complex nature of the disorder and the medical records that support it. The nationally recognized attorneys at ABC Law Centers have decades of experience in this area. To find out if you have a case, contact our firm to speak with an experienced birth injury attorney. We handle cases in Michigan, Ohio, Washington, D.C. and throughout the nation. 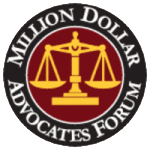 We have numerous multi-million dollar verdicts and settlements that attest to our success, and no fees are ever paid to our firm until we win your case. Email or call us at 888-419-2229. Our firm’s award winning birth injury attorneys are available to speak with you 24 / 7.